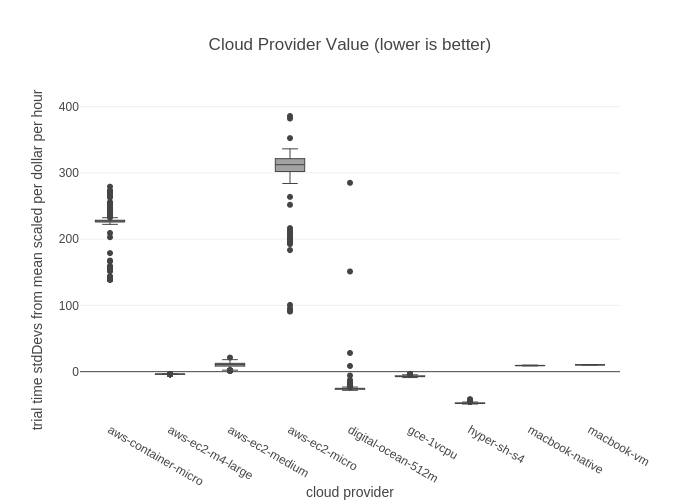 Andychase's interactive graph and data of "Cloud Provider Value (lower is better)" is a box plot, showing total; with cloud provider in the x-axis and trial time stdDevs from mean scaled per dollar per hour in the y-axis.. The x-axis shows values from -0.5 to 8.5. The y-axis shows values from -72.96055555555556 to 410.05055555555555.